Get your forks ready. 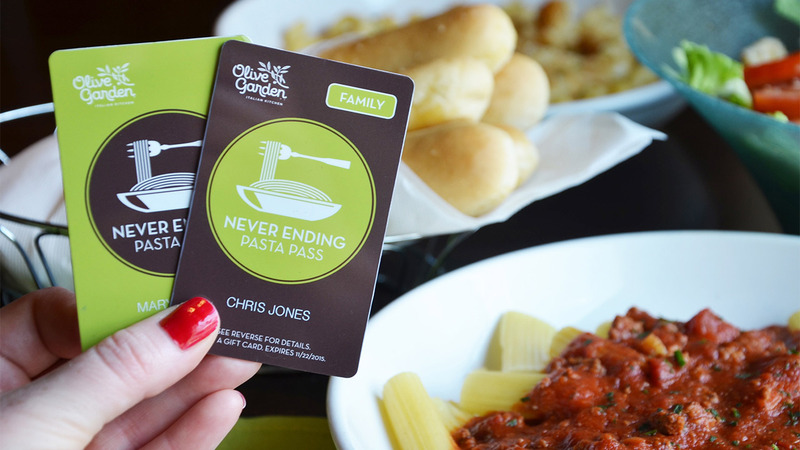 Olive Garden's never-ending pasta passes are back. The restaurant chain said it will put up 21,000 passes for sale during its annual promotion. That's 10 times more than last year, when 2,000 were put up for grabs. For $100, the passes provide seven weeks of unlimited pasta, sauces and other toppings, soup or salad, breadsticks and Coca-Cola soft drinks. The passes will be sold for an hour online at Olive Gardens' website on Thursday, Sept. 15 beginning at 1 p.m. CST. 21 additional passes will be put up for auction on eBay (EBAY) after the initial sale ends. The pasta passes were so popular last year that they sold out within seconds. The pass lasts from Oct. 3, 2016 to Nov. 20, 2016. The best part about this promotion -- besides the unlimited pasta -- is that the proceeds will be donated to Feeding America, a nonprofit that operates food banks across the U.S.